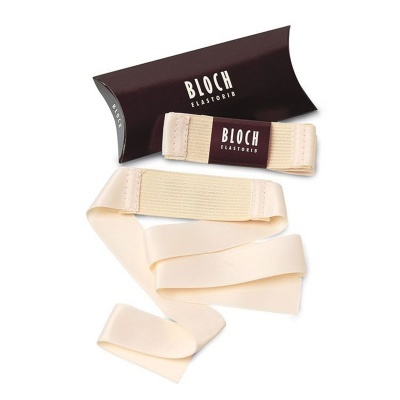 The Elastosplit Ribbon by Bloch was designed to assist in the reduction of strain on the Achille tendon. It is made of a soft elastic layer sewn to ribbon to avoid fraying. Ribbon measures 7/8" wide and comes in a 2.5 Yard length, adjustable to fit your individual needs. Each package includes enough ribbon for one pair of pointe shoes.